Idiozeitgeist » Happy Birthday, Allen! Allen’s 39 today! And he loves birthday greetings! 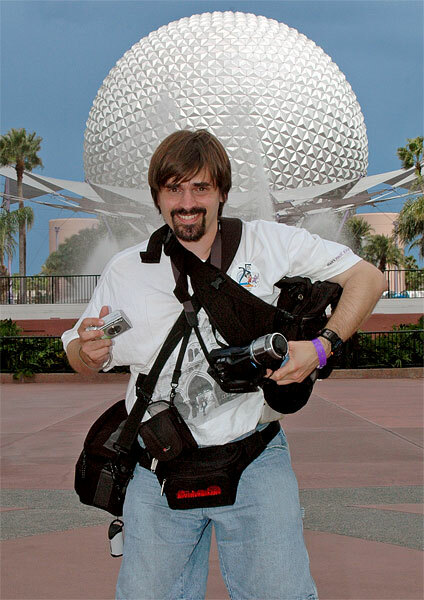 Allen at Epcot Center, 1 October 2007. Photo by Disney PhotoPass photographer Bill. BTW, I gave Allen a blue sky as a gift here. It was overcast that day. yeah, you’re such a swell pal, you are! And that’s my bag stuck in your armpit—I haven’t washed it since! Sigh!